Drizzle’s exterior offers a superior blend of classic and modern, with a traditional low profile and contemporary feel. 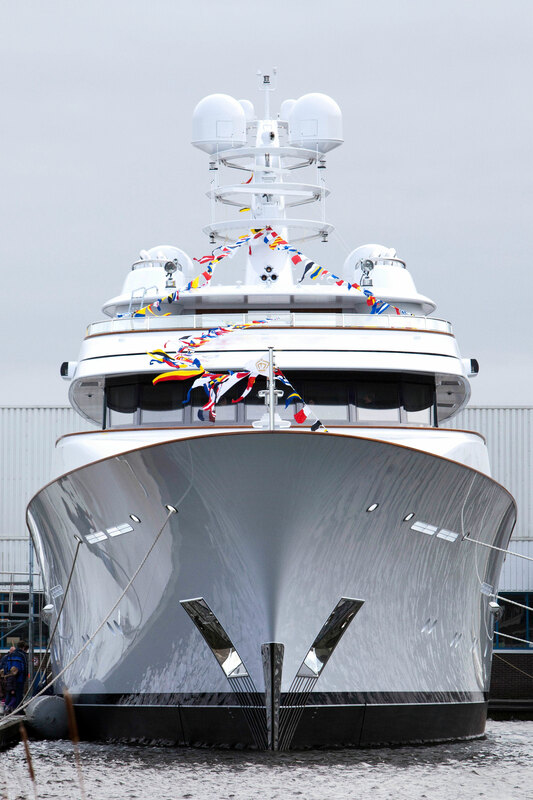 “Taking Twizzle as the design template, it was a major challenge to retain her classic light lines while extending the vessel by over 20 per cent,” says Ruud Bakker from Feadship De Voogt Naval Architects. “We also added further refinements in terms of functionality, such as the central staircase that facilitates both guest and crew access to the sun deck. Drizzle contains the very latest systems and technologies, a reflection of how Feadship is consistently moving forward on every level.” Redman Whiteley Dixon created a contemporary, warm and rich interior that again takes Twizzle as a reference point before being tailored to the principals’ bespoke taste. “Only months after handover of Twizzle to the new owners, we were discussing the perfect larger version”, says Henk de Vries, “and within months we had defined the new version in detail”. 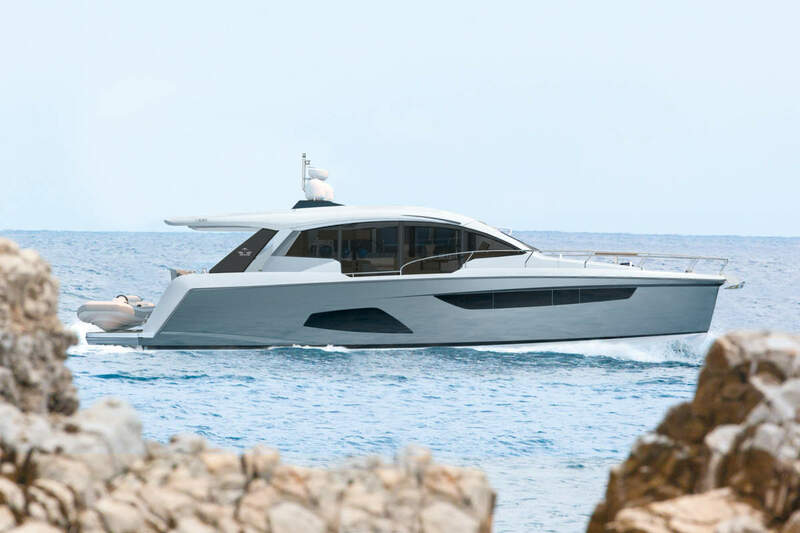 “Drizzle is a fine example of how sophisticated owners have experienced the true difference a Feadship can make in every sense of the word quality,” explains Francis Vermeer, head of marketing at Feadship. 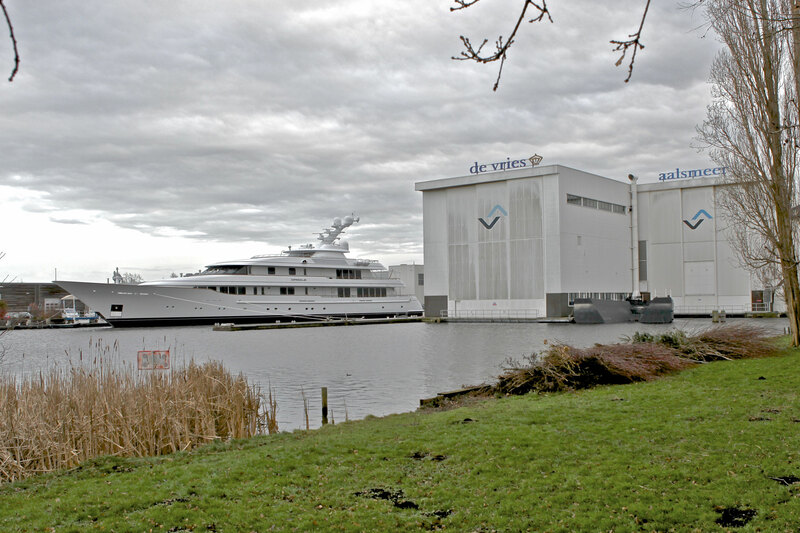 The project manager for Drizzle was Steve Jacover, who has built several other Feadships over the past two decades. “It was amazing to see how many staff members are still at the yard from previous builds with which I have been involved. 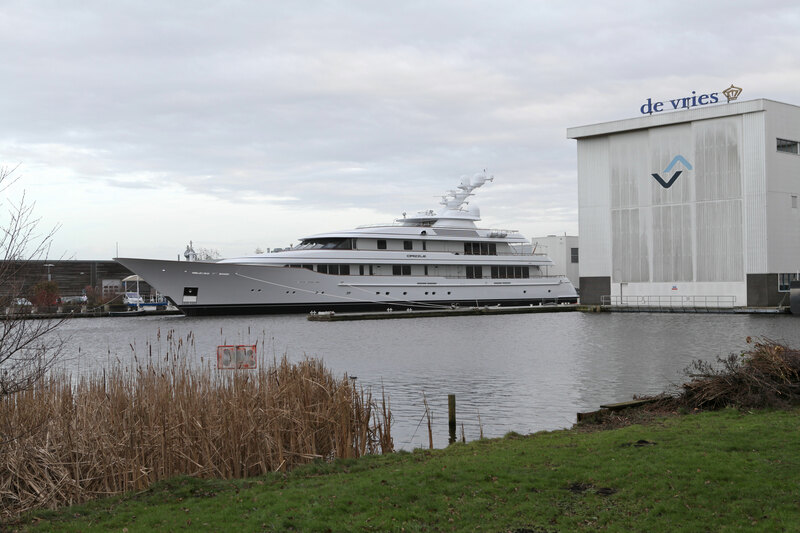 As well as highlighting the rich experience at the Feadship yards, it gives me as project manager a complete sense of security that everything will be finished to perfection. And it was.” The interior feels like a genuine home-from-home and will have a broad appeal while being entirely unique. 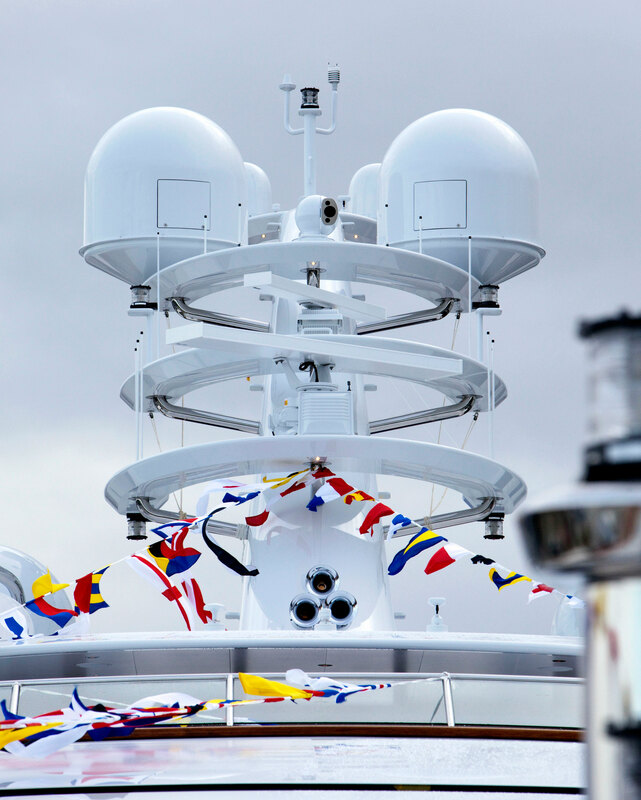 Crew quarters are taken to an exceptional quality level even by Feadship’s industry-leading standards. 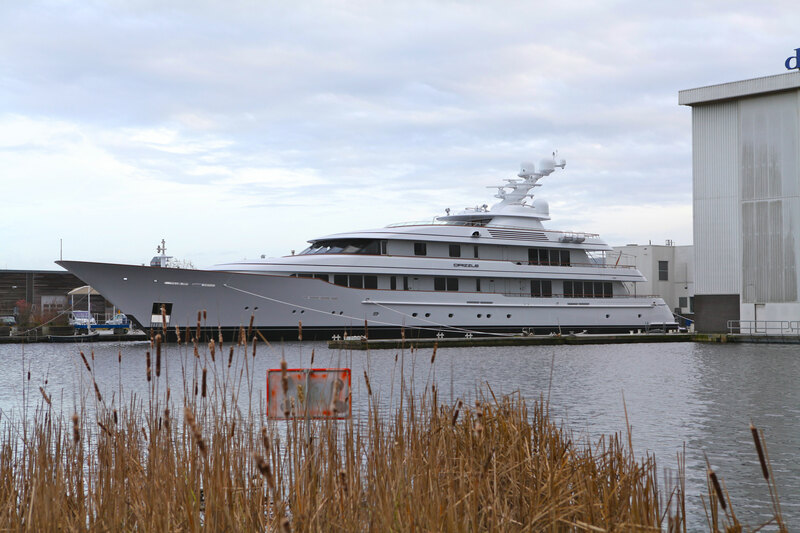 “This reflects the owner’s concern for crew welfare and a wish that their facilities should be finished to the highest possible standard,” says Drizzle’s Captain James Duggan. “Such attention to detail will be greatly appreciated and respected by the crew. Two 7.50m tenders, two jet skis, two kayaks. fantastic and would be proud if not priviledged just to step aboard her with kind permission of her owner, I have been a lover of fine cruisers all my life but unfortunatley i have never been anyway near owning one the only possibllity is the lottery(unfortunatly) but it does not prevent me from looking at pure beauty and perfection but at 66yyrs old my dream is comming to an end.